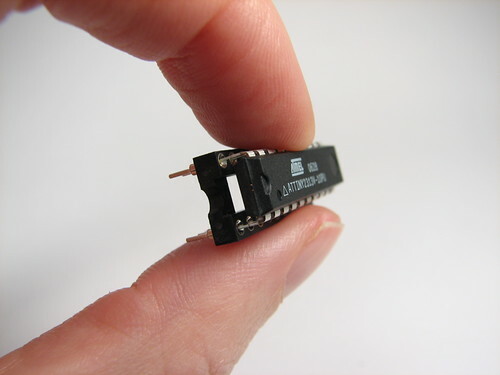 You’ve got your wire strippers and your soldering iron…now what? You probably know that there is a standard set of essential tools that you need on your electronics workbench. You can find helpful lists of these tools at Lady Ada’s site and Dan’s Data. However, real tool junkies always want just the right tool for the job. 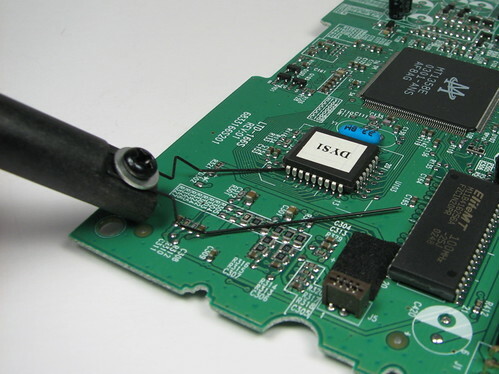 Here are five electronics tools you may not know you were missing. These esoteric tools go a bit beyond the basics that everyone should have. 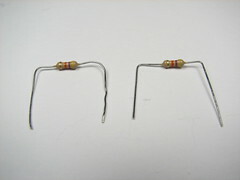 1) Resistor lead forming tool. The tool itself is just a piece of injection-molded plastic, with slots on both sides for different sizes (i.e., power rating), and for different total lead lengths. 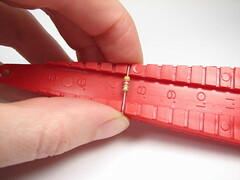 You hold the resistor in the appropriately sized slot and bend the leads down. Above on the right are two resistors, one bent by hand, and one bent with the tool. The one bent with the tool looks much neater and only takes about half as much time to bend. Mind you we’re only talking about a few seconds in either case, but if you’re installing a lot of resistors…. 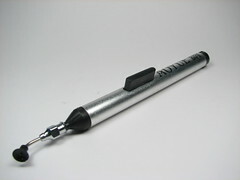 2) Vacuum suction pen placement tool. Little parts can be hard to pick up. That’s where this comes in handy! Push the button to expel the air, touch down on a flat surface and release the button to form suction. Works great for just long enough to get your part where it needs to be. Interchangable suction cups allow you to work with different sized parts. This particular one is part number AO939 at Stan Rubinstein ($6). This tool is designed to insert a DIP chip into a circuit board even though the leads are bent outwards, as they come from the factory. 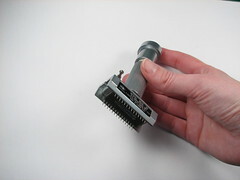 You slide the chip into the end of the tool, put it where it goes, and press the button to push it into the baord. When aligned correctly, they do a good job of putting even pressure across the chip. However, Dan’s Data suggests avoiding these– and truth be told, we don’t use them much. However, they are totally cool looking. As we’ll see next there are better ways to solve this problem. You need a different one for each package style. We have two – they’re cheap at our local surplus stores. 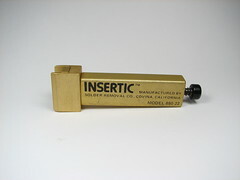 4) IC Lead Straightener Tool. When you get chips, the leads aren’t quite parallel, so they don’t quite fit in a socket or PCB without some prebending. A quick squeeze of this crimper, and they fit perfectly. By performing the straightening role, it eliminates the primary need for the DIP insertion tool, which is to straighten the leads as they are inserted. 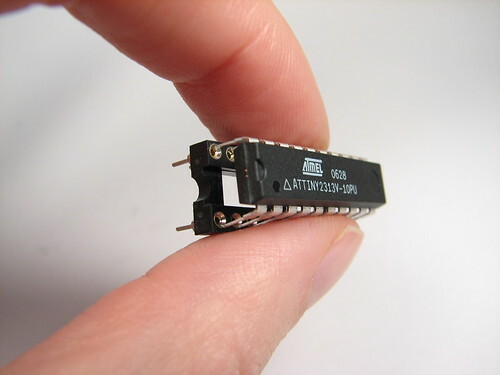 Accommodates two different widths of DIP ICs in a variety of lengths. Jameco part number 99363: $7.69 and worth every penny! When you are scavenging parts off of boards, you need a way to get the chips off. 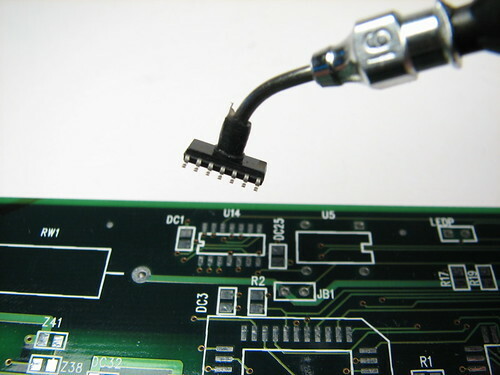 Slide the very fine wire ends under surface mount components to lift them off when using hot air to melt the solder. This entry was posted in Basics, Electronics, EMSL Projects, Engineering and tagged electronics, soldering, tools. Bookmark the Permalink. I’ve got a couple of other tool articles (neither of which is especially relevant to PCB work) here and here. Thanks! Those are entertaining lists and have some great information. I was given the lead shaper for resistors (and other axial components) a while back and have found it generally totally useless. Perhaps if you wanted very specific sizes for a whole bunch of leads, but I’ve found the preset sizes on mine to be just off sized for every board I’ve ever used the tool on. Aside from that I found I couldn’t make bends as clean as I could when I used pliers. I guess that’s part of the difference though, is I never bend leads with my hands; I always use pliers (specifically my Leatherman, which is like a third hand to me). I find pliers to be faster as well. As for lead benders for IC’s, those are handy. I’ve never personally used a chip inserter though, and doubt I ever will bother. When working with IC’s however, the one absolutely positively indispensables must have tool would be an extractor. I’ve been using a cheap little metal thing covered in some sort of latex for years (ala http://rocky.digikey.com/WebLib/Aries/Web%20Photos/T90.jpg), but recently saw a friend using a much nicer tool that looked a lot like a PLCC IC extractor but was actually for DIP IC’s (it squeezed like an accordion, not like tweezers). If anybody knows what I’m talking about any idea where you can buy them? I just read the Dan’s Data article linked above which mentioned the IC puller, and I’ve never had an experience like he outlined there. I find it significantly easier and much less destructive using an IC puller compared to a screw driver. I’ve had exactly Dan’s experience with chip pullers– they sometimes work. When the fail, they fail miserably. I actually use a set of curved needle-nose pliers to extract DIPs from sockets; it’s quite reliable. As far as the lead bender go, it’s exactly like you say: "if you wanted very specific sizes for a whole bunch of leads." For the LED coffee tables, we were putting in hundreds of components in nicely spaced holes. That bender was a godsend. Nice list, but all of these tools are centered around through-hole components. Who the heck isn’t using SMT parts these days? Well… if you can’t see that 40% of these tools are for surface mount, that might explain why you can’t see that a fairly large percentage of modern electronics is still done with through-hole techology. Grah, I feel dumb. One of those ic lifter-spatula-doodads came with my soldering station and I thought it was a replacement heating element. FAIL. Nice article. I just found something you might want to add to your list. 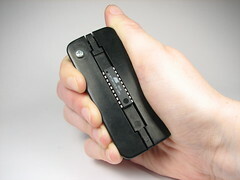 It’s a tool that bends and cuts thru hole transistors and LEDs. Kind of spendy, but it looks like it would save a bundle of time if you do CB stuff alot. It’s called the Transiterm, at transiterm.com. Pretty cool! $1895.00 a little pricey …..
great article! i linked to it on my blog – apocalypseaudio.Blogspot.com. its mainly about building audio curcuits in ways they were not meant to. distortion is your friend! ;) as an aside, I’d also like to add the rounded nose pliers to the list. 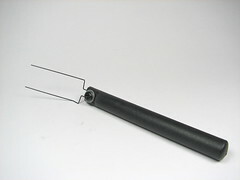 perfect for bending leads without weakening them, and routing wire without marring the insulation!